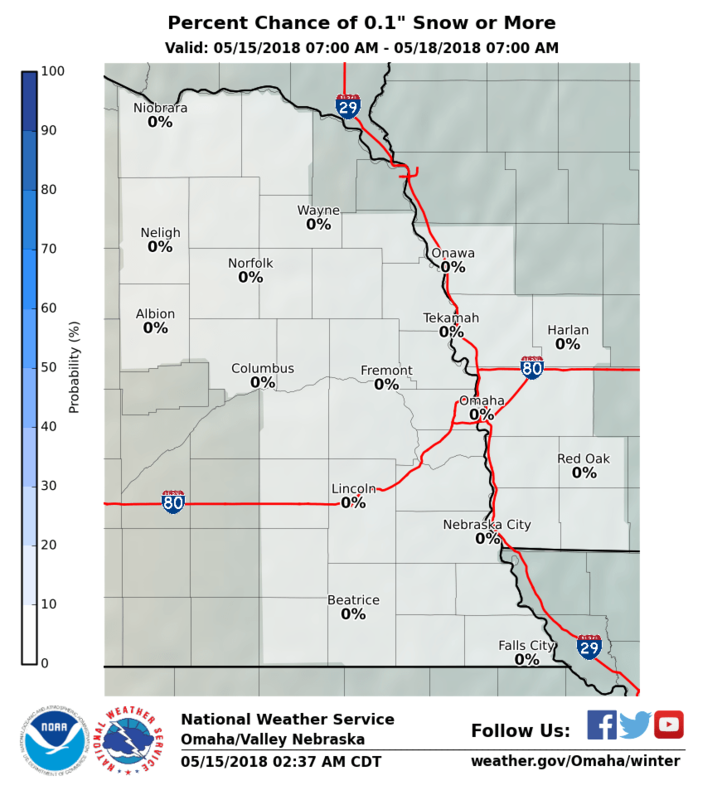 The NWS has modified their EXPERIMENTAL Winter Pages to include a graphic displaying the percent chance of 0.1" snowfall or more. A revised script that incorporates this graphic is available on my web site as 'nwswinter.zip'. Picked up the new version with the probability of > 0.1". Thanks Jerry.